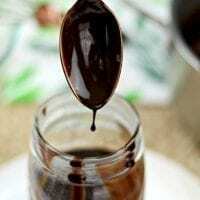 How to make homemade chocolate sauce with cocoa powder. 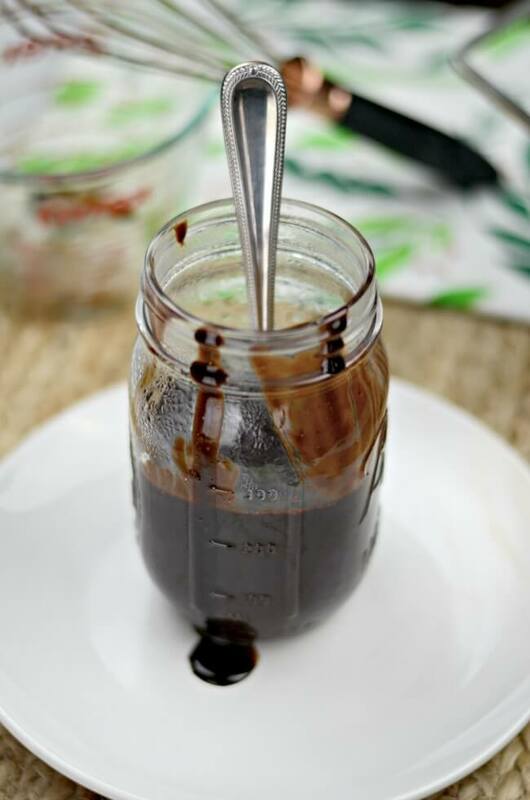 This chocolate sauce only uses a few common ingredients and comes out silky smooth! Do you know what my kids love more than anything? Chocolate milk. And whipped cream too. Those are my kids top two favorite things of all time. Do you know what is super easy to make? Chocolate sauce. (And homemade whipped cream too, if you’re interested.) 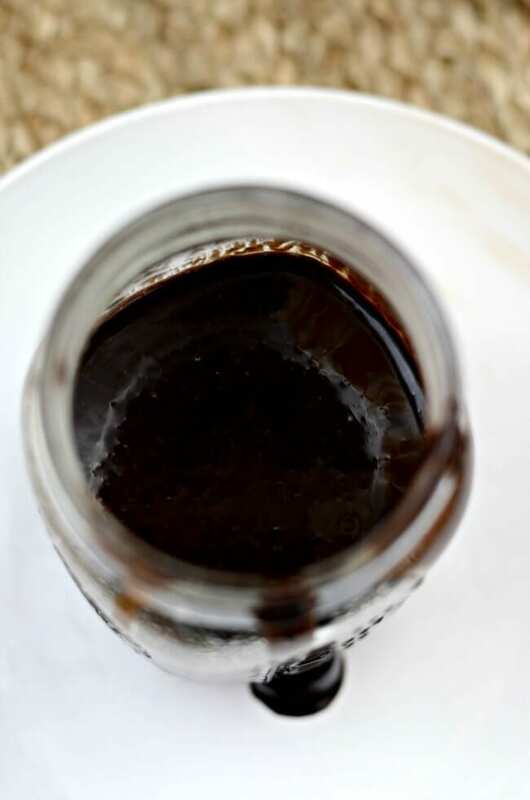 I made this chocolate sauce with cocoa powder one afternoon and my kids thought I was some sort of chocolate milk magician. You only need 5 basic ingredients. 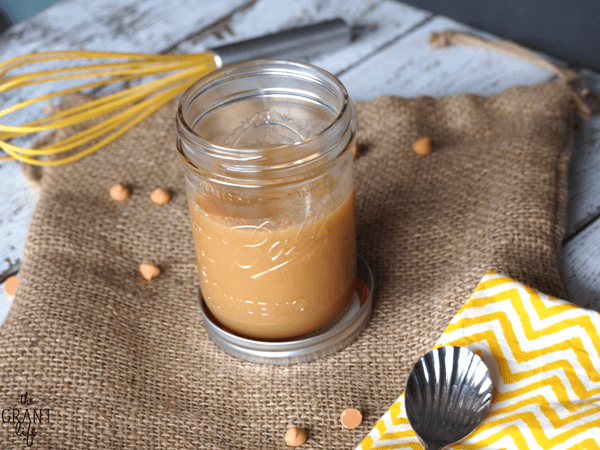 It’s easy, it comes out silky smooth and you only need a few basic ingredients. It’s chocolate sauce perfection if you ask me. Yes, really! 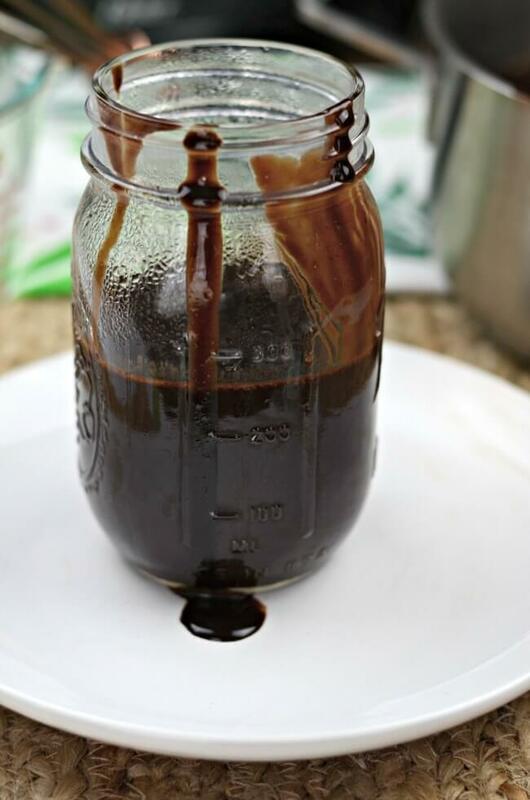 That’s all you need to make this homemade chocolate sauce. I bet you have the majority of the ingredients already in your pantry! You want to use a good quality cocoa powder here. The better the quality cocoa powder you have, the richer your chocolate sauce will turn out. Something like a Ghiradelli cocoa powder or similar work great. If you already have cocoa powder in your pantry, use that! No need to buy new cocoa powder for this recipe. Any type of sugar works in this easy recipe. You can also use coconut sugar, Stevia or even monk fruit here as well. You also want a higher quality vanilla extract here as well. Use pure vanilla extract not the imitation version. You can also try your hand at homemade vanilla extract too! How do you make chocolate sauce with cocoa powder? To make this recipe you start by mixing your cocoa powder and sugar together in a sauce pan. Place the pan on the stove over medium heat. Add in your water and stir it together. Continue to stir until the cocoa powder/sugar mixture is dissolved. Bring to a boil and add in the vanilla plus your pinch of salt. Allow to boil for about a minute or two and remove from heat. The chocolate sauce will thicken as it cools but make sure it coats the back of spoon before you pull it off the stove. 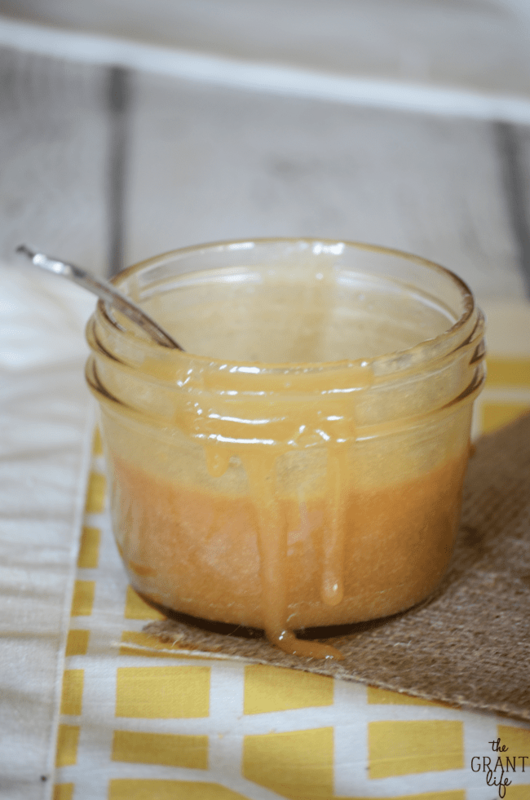 Allow it to cool and then transfer it to a mason jar or similar container with a lid. 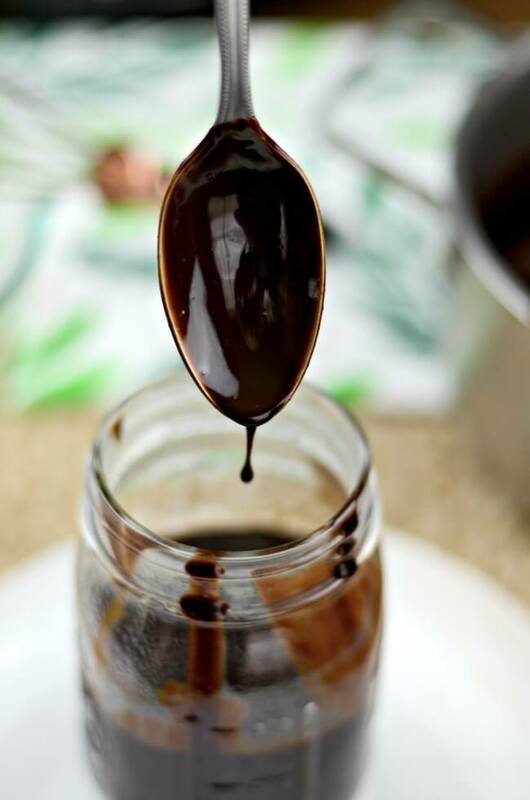 Homemade chocolate sauce with cocoa powder! 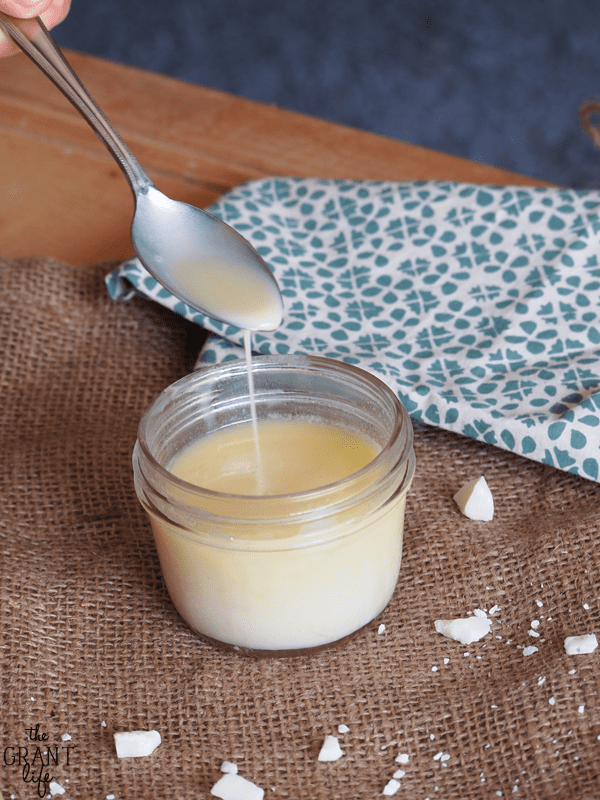 Super easy to make and silky smooth. Over medium heat and in a saucepan, mix together the cocoa powder and sugar. Add in the vanilla and salt and let boil for a minute or two. Remove from heat, allow to cool and transfer to a resealable jar. Enjoy over ice cream, in coffee or chocolate milk!